We’re now into March and basketball fans know what this means. Yes, the weather should get warmer and we should see more daylight but more importantly, it means that March Madness is virtually upon us. The leading NCAA event is hugely exciting and there are so many different components involved in it. The games themselves are often highly enjoyable but for many people, the action and drama gets underway long before the first game takes place. This is because we have Selection Sunday to look forward to on Sunday the 15th of March, and there is a great deal of debate about who is going to be the number one seed at this point. As you would expect there are a number of names being suggested as the leading candidate for the number one seed at March Madness but there appears to be general consensus about the Kentucky Wildcats. The team is viewed as the leading basketball team at this level in the country and there are a number of players in the squad who are expected to be playing in the NBA very shortly. March Madness is a great way to see the stars of tomorrow today and if you want to get the heads up on what players are likely to wow TV audiences around the world for the next few years, this is the event to keep your eye on. Who can topple the Kentucky Wildcats? While there will be a great deal of money being placed on the Wildcats with respect to NCAA March Madness betting, there will be a number of teams who believe that they have a chance of causing an upset. The Virginia Cavaliers are one team that are rated highly and it may be that their strong defensive element could be a key factor in any success that the Cavs achieve in the upcoming weeks. There was a lot of doubt about how strong the Virginia side would be due to the loss Justin Anderson, a highly rated guard, but the team has been highly efficient in defence, helping to minimise the loss of their star guard who is currently recuperating from surgery that was carried out on his broken finger. Are the Badgers set for success this March? The Wisconsin Badgers are tipped highly by many but some people believe that the West Coast Conference isn’t that strong, making it difficult to judge and evaluate the true merits of the Badgers. Coach Bo Ryan has an excellent reputation but he needs to deliver a championship soon, and this season could be the one where he finally steps up and adds the silverware to add to his potential and abilities. The Duke Blue Devils had a very poor January but bouncing back in February has reignited the hopes of the team who have managed to claim wins over Virginia, the only time the Cavaliers have tasted defeat all season, and Wisconsin this campaign. The Blue Devils have been going about their business quietly but they will definitely carry a lot of potential into this tournament. We are still a good while away from March Madness but now we are in the month itself, it is easy to see that March Madness excitement is starting to build. 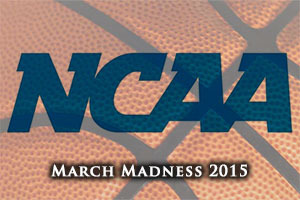 If you want to find the lowdown on the best NCAA March Madness betting options, stay in touch.